For the past 8 years, the Gallardo has been Lamborghini’s volume seller. With a starting price of around $181,000, it was Lamborghini’s “entry-level” car, if you could call it that. 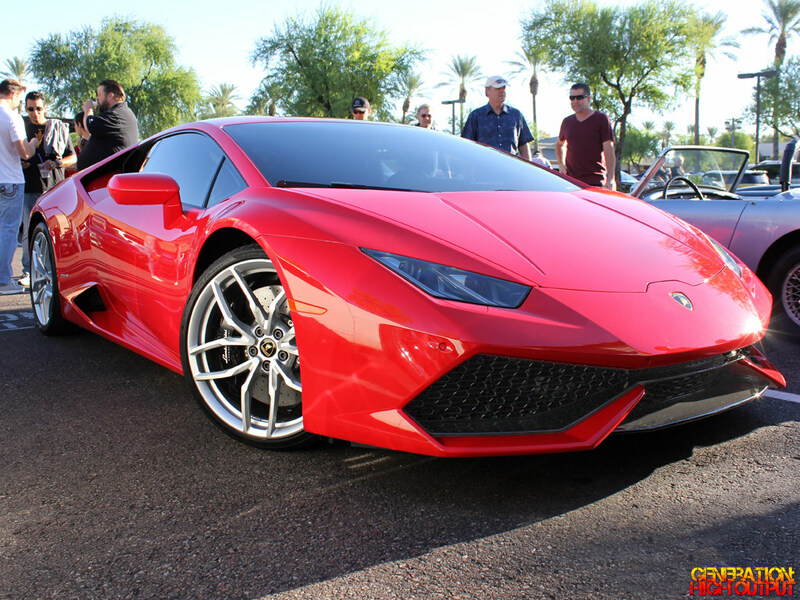 Earlier this year, Lamborghini announced the Gallardo would be replaced by a new model called the Huracan. So what’s new with the Huracan? Although it has the same 5.2L V10 engine from the Gallardo, it is now boasting direct fuel injection and produces 602 horsepower, up from 552 HP in the previous car. As you might imagine, the car’s performance is equally impressive: 0-60 in just 3.2 seconds and a top speed of 202 mph! Fuel economy is improved with the introduction of a new engine start-stop mode. On the exterior, and aggressive new body with all-LED lighting looks sharp and modern. 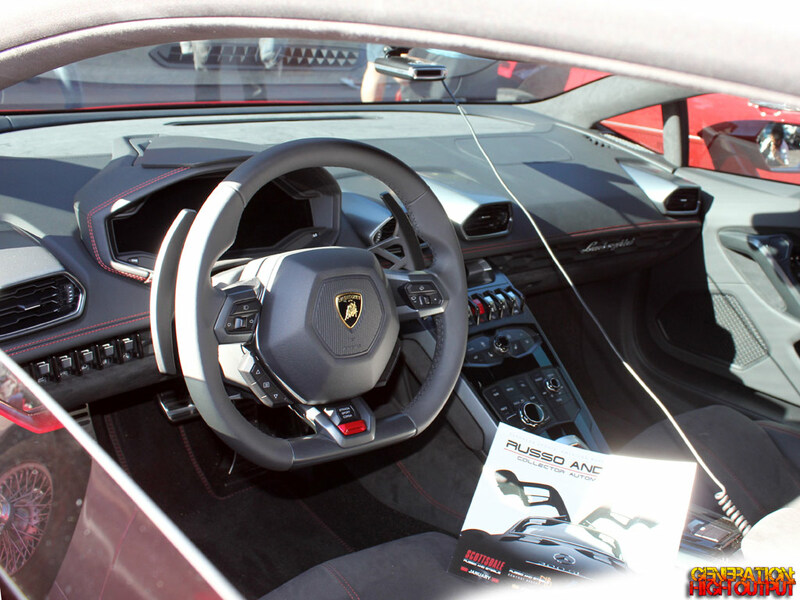 The interior has also been upgraded with Nappa leather and alcantara upholstery, a redesigned dashboard, and a massive 12.3-inch digital instrument cluster. It’s everything you would expect a supercar to be, from the glorious exhaust note to the gigantic brakes. However, the Huracan is not without its faults. To no one’s surprise, visibility, cargo space, and fuel economy are not great. With a base price of $241,945, the Huracan is a big step up from the Gallardo. But for those who can afford it, this is a heck of a lot of car for the money. The company’s decision to update their bread-and-butter product was a big risk, one that they had to get right. After seeing the Huracan in person, I think they’ve done it right. 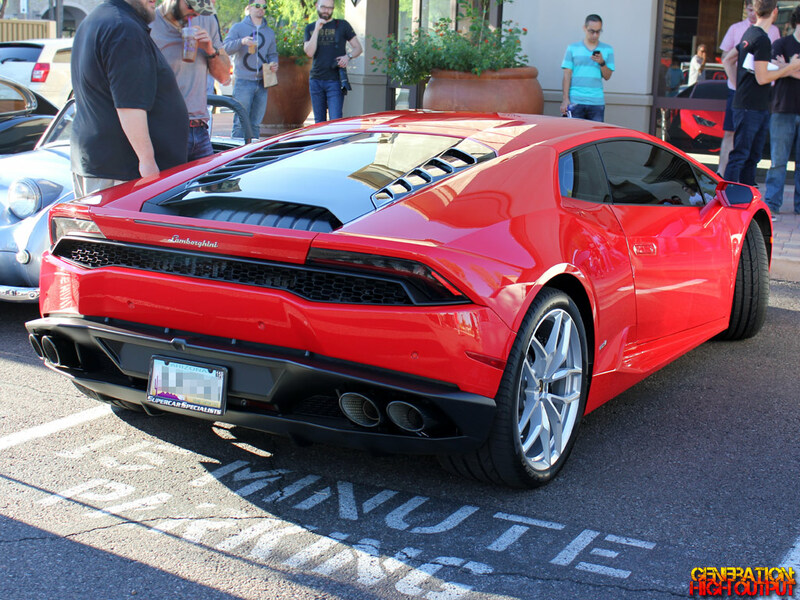 This entry was posted in Cars and Coffee, Supercars and tagged cars and coffee, exotic car, huracan, lamborghini, Scottsdale, supercar by Trevor Freeman. Bookmark the permalink.